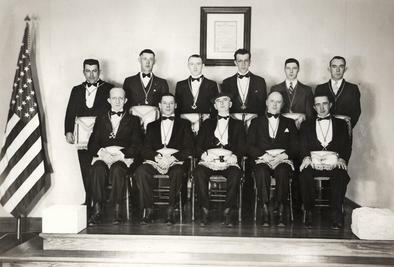 Frank P. Moncure was born in Fairfax, Virginia on November 5th 1889, and was a member of John A. Lejeune Lodge No.350 A.F. and A.M. He graduated from The College of William Marry and Georgetown University, earning a degree in law. He Served as the Commonwealth's Attorney for Stafford County (1920-1927), and also served in the Virginia House of Delegates (1936-1939). He died on January 12, 1969. 2007........Omar H. W. Quillen, Jr.
Lawrence E. Vickers, Jr., Secty. E. Wood; D. Leyfert; L. Roberts; and thirty-five visitors. Most wouldn't recognize this as our Lodge but it is. This photo was taken when it was still a grocery store and gas station around 1957. The gentleman on the front steps is Brother Dave Winkler's grand father James Monrow Winkler Sr. 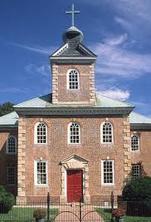 The current building was preceded by an old wooden structure. 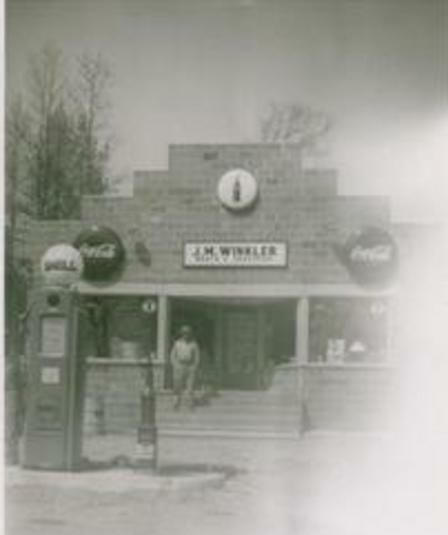 It was located in front of the current building and was torn down after completion of this building around 1954. Our building has had several different duties after it was a grocery store. It was a flooring store for a short period of time, almost a post office, was a church two or three times and then set empty before the brethren bought it and with a lot of hard work and help from the brethren it became our home. Thank you to all the Brethren who made this possible and worked so diligently for a home we are all proud of.